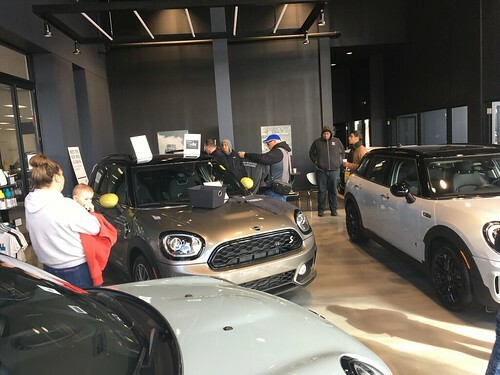 There are many cool extras and features on the Chicago MINI Motoring Club website that you may or may not know about. Check out these special features to maximize your enjoyment of our club. Wrapup: Great weather, fun drive, good eats, and a cool destination!! We had a dozen MINIs and a bunch of dogs take a short trip out to Raceway Woods. There was one long pause for a slow moving freight train where we had a chance to pull over, take pictures and chat before the road opened up again. Burgers, brats, and side dishes were the food of the day, and people had a chance to explore the remnants of a very cool race track.